To the point, always lateral in thought, and with that unexpected twist, TrinityP3’s “Book of Blog Posts” are so like Darren – without compromise, strangely engaging, and always worthwhile. Darren Woolley’s posts are both topical and timeless. 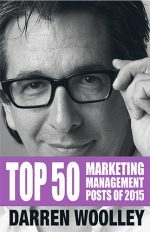 They are important reminders of what marketers and businesses should acting on in building better businesses and marketing outcomes. The marketing conversation has never been more important and Darren’s thought leadership is a vital part of it. New technologies and media are challenging the building blocks of modern marketing. This book is the starting point for understanding the new building blocks that are emerging. What an unpredictable year! We have seen the rising importance of developing digital capability, improving customer experience, securing media transparency, understanding multi-touch attribution, leveraging data insights to support personalisation, and managing privacy risks. With unpredictability, you need thought leaders like TrinityP3 to help you guide the future. Darren’s advice on the fast changing marketing environment is a great help to me as a client, to understand the trends and how they might impact our business. With disruption impacting every marketing team right now it makes sense to learn from Darren and his team and they always have an informed point of view. TrinityP3’s annual book featuring the Top 50 Marketing Management posts of the year is a must read for anyone with an interest in marketing and advertising. The authors are prepared to take on the big topics and do not shy away from difficult or challenging subjects. It is also a great example of a content marketing strategy done well. SEO, exceptional content and social promotion are all elements of the TrinityP3 strategy so there is plenty to emulate here. 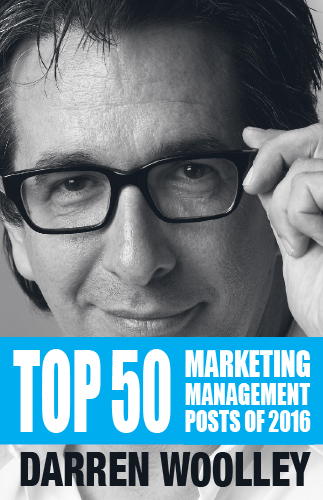 I look forward with anticipation each year to receiving TrinityP3’s Top 50 Marketing Management Posts …a gift which I unpack page by page either at home or on my end of year vacation. Helping me keep abreast of all the important posts I may have missed throughout the year. It is the best of the TrinityP3 blogs crystalized and edited to provide the reader with a condensed summary of the essential topics and unspoken truths currently facing the advertising and media industry.